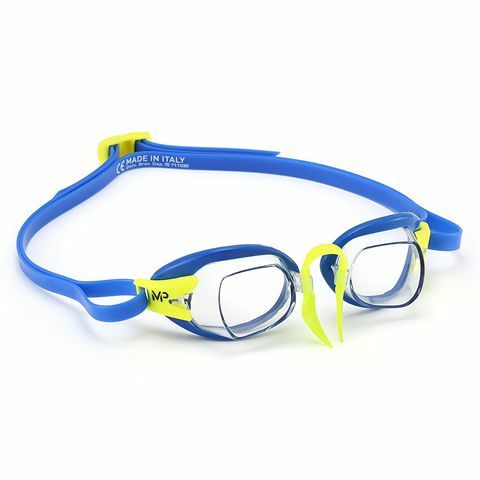 Boasting an innovative Geoplex lens technology to ensure improved vision in all directions, the Michael Phelps Chronos swimming goggles are suitable for competitive efforts, and racing performances. The technology improves downwards, lateral, and most importantly forward vision with extra accurate plain-curved lens surface design. The goggles ensure stable, comfortable, and water-tight fit preventing water from entering eye chambers consequently blurring your vision. 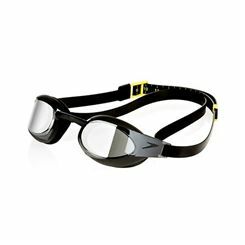 The goggles are great for both indoor and outdoor swimming experience, whilst the adjustable silicone strap and customisable nose bridge allow for necessary fit alterations making the goggles super comfortable and versatile. 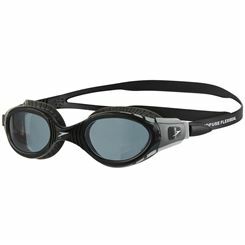 The Speedo Vengeance mirror swimming goggles are a stylish choice designed for racing and open water swimming. For a secure and comfortable fit, they offer a double silicone head strap and a streamlined lens profile increases agility in the water. Fog-free vision is ensured by an anti-fog coating and the mirror lenses minimize brightness and glare to let you focus on improving performance with no distractions. 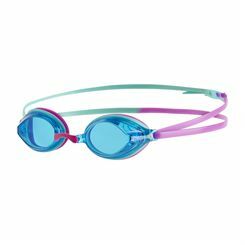 The goggles protect your eyes from harmful sun rays and have Fédération Internationale de Natation (FINA) approval. 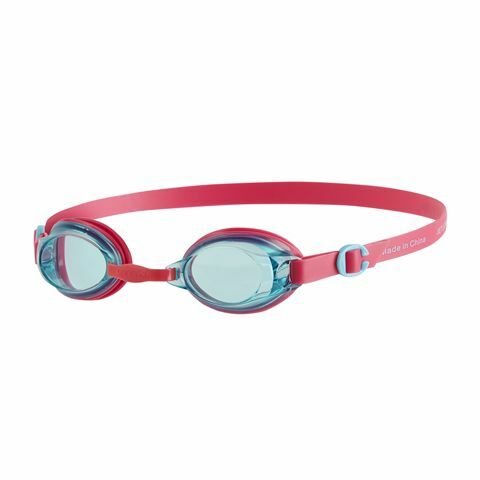 Featuring a low-profile, hydrodynamic design, the Aqua Sphere Kameleon junior swimming goggles ensure improved performance in the water and have been made for young swimmers aged 6 and above. They use Curved Lens technology for wide, peripheral vision and provide quick adjustment thanks to EZ Adjust buckle. 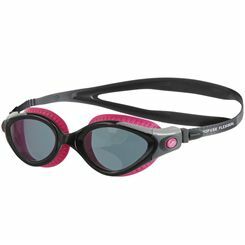 The goggles are designed for smaller face shapes and offer anti-fog and scratch-resistant plexisol lenses to prevent steaming up and deliver enhanced durability. 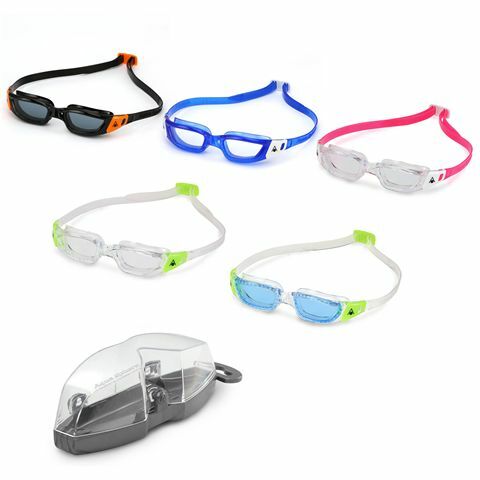 Plus, they protect kids’ eyes from harmful sun’s rays and feature a flexible silicone strap. 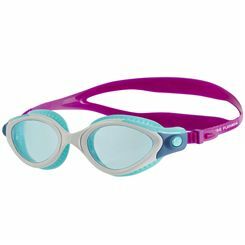 Featuring a resilient, smooth silicone frame for enhanced durability and wear comfort, the Zoggs Printed Dory and Nemo junior swimming goggles are a great choice for children between six and fourteen years’ old, and include delicately blue tinted lenses for a glare reduction and comfortable swim in the outdoors. There is also an anti-fog technology preventing excessive steaming up of the lens, as well as an adjustable silicone, split-yoke strap allowing for a personalised and highly secured fit. 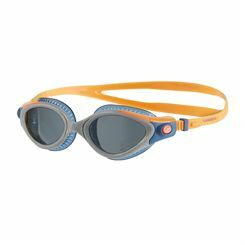 Furthermore, these great-looking goggles grant increased protection from sun beams with excellent UV filter, enabling a confident and comfortable fun in the swimming pool. 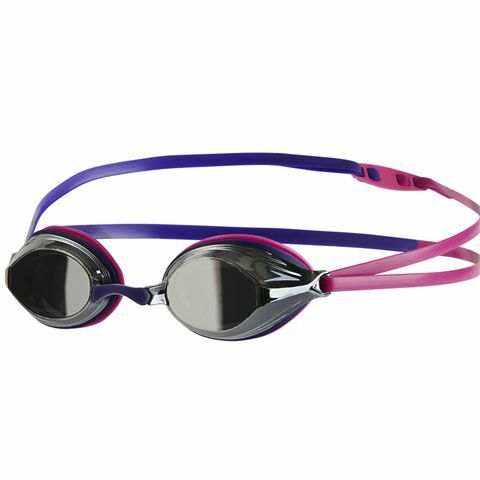 The Speedo Jet junior swimming goggles are perfect for summer holidays and regular trips to the pool and offer a secure, customised fit thanks to a single silicone head strap, a silicone frame and an adjustable nose bridge. Plus, for mist-free and clear underwater vision, there are blue, anti-fog coated lenses ensuring glare reduction. 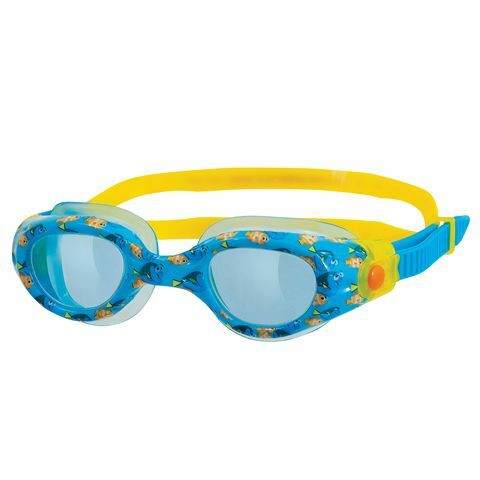 These lightweight and colourful goggles are great for both indoor and outdoor use and filter out harmful UV rays to protect children’s eyes. They have been designed for kids aged 6-14. 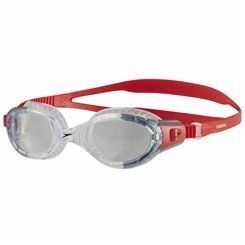 If you’re a regular swimmer in a chemically-treated pool and don’t wear goggles, the chances are your eyes are somewhat irritated at the end of your session. As your fitness improves and your training times extends this initially minor annoyance can actually be the factor that gets you out of the pool long before you’re even approaching your point of fatigue. The obvious answer is to invest in some good goggles, not only will they protect your eyes they’ll also improve your vision and may even have a positive impact on your performance as a result. The range of goggles on the market is huge and prices range from the very cheap to fairly expensive, but for a reasonable price you should be able to find a good pair that’s right for you. Size and shape are the first factors to consider. While all goggles are adjustable for tightness around the head, the shape and size of the lenses and the size of the nosepiece is fixed so you need to consider these first to create a shortlist of goggles for you. 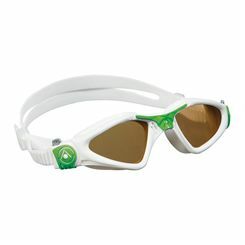 • Competition goggles: these are low profile and small, fitting close to the eye socket - which reduces drag. As they’re designed for racing, competition goggles can be uncomfortable. • Practice Goggles are meant for everyday use and are generally more comfortable because they have larger lenses and more gasket rubber which softens the pressure against your eyes while creating a good seal. 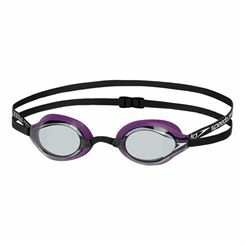 • Recreational Goggles are the cheapest and fairly popular with non-competitive swimmers who don’t spend prolonged periods in the pool. Goggles range in size from junior to adult and once you’ve found the right shape and size for you your next consideration is the lens type. 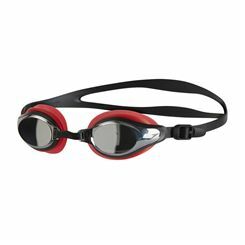 Goggles need to be water tight and comfortable so getting this right will make for a more enjoyable swim for all while enabling contact lens wearers to keep their lenses on and safely in while swimming. If contact lenses are not an option but your eyesight is not up to swimming without aid, swimming goggles with prescription lenses are available at specialist stores. 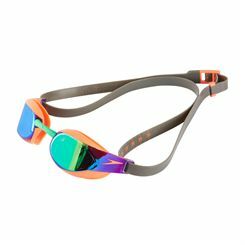 Swimming goggle lenses are available in clear plastic, coloured plastic to filter light, mirrored to reflect light and others are both coloured and clear combining the benefits of colour filtration and light reflection. In addition some have an anti-fog film to prevent the lenses from fogging, which happens when the warm air created by the body is condensed by the cooling of the water in the pool, although this can be overcome by wetting the inside of the goggles before swimming. The shape of the lens will also affect a swimmers’ field of vision. Conical lenses replicate the eyes’ natural vision while other shapes refract and distort the light to varying degrees. The faster you swim the more important this is as you’ll need to see where you’re going and also if something is coming your way. 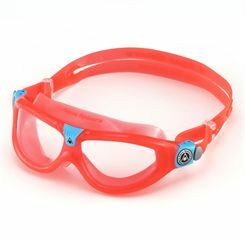 As with all sports equipment it’s really worthwhile asking for recommendations and checking out first person online reviews, as the elements that will make the best goggles for you are highly individual. But once you’ve got the right pair you won’t look back.